Is it possible to pack light for a weeklong trip? It's a problem that has perplexed me through years of travel. While I've had experts offer up plenty of packing tips for readers before, when it comes time for me to prepare for a weekend away or short trip abroad, I fail miserably. Usually, I find myself hunched over my suitcase the night before I leave, frantically throwing a random assortment of things into my bag. Well, earlier this month, with a quick trip across the country on the calendar, I set out to actually pack light for a change. The key to this process, it turns out, is thinking ahead (apologies to my fellow slackers). By paying more attention to what I would actually do and how the pieces I packed would work together, I was able to narrow things down. So what did I cut out? Find a few of my changes below! As a shoe lover, I easily fill an entire suitcase with boots, sneakers, and heels. But I've learned that since they take up a majority of the space in any suitcase or bag, they're the first thing to go. I've found that I only end up wearing two or three favorites anyway. Before heading out of town, I always break down my activities and then pack accordingly. Staying on the beach? Leave the black-tie dress and stilettos at home. Sightseeing in Rome? Keep to comfortable sneakers. As hard as it may be, stick to one pair of jeans, one pair of leggings, etc. For a short trip, no one noticed (or cared) when I styled the same staples in different ways every day. Think in terms of outfits. When I stopped picking and choosing pieces I liked and started thinking about entire outfits, I found it much easier to streamline. 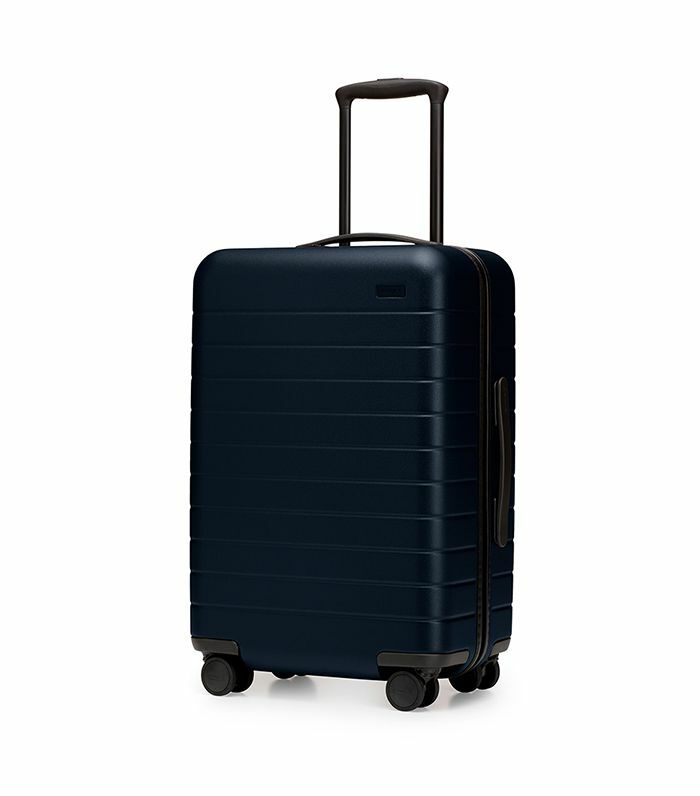 A carry-on with clever compartments is a must. While you never want to under-pack underwear, keep bras to one or two favorites. If you're planning on doing a lot of walking, you'll need comfy sneakers. Pick one ultra-versatile jacket to dress up or down throughout your trip. 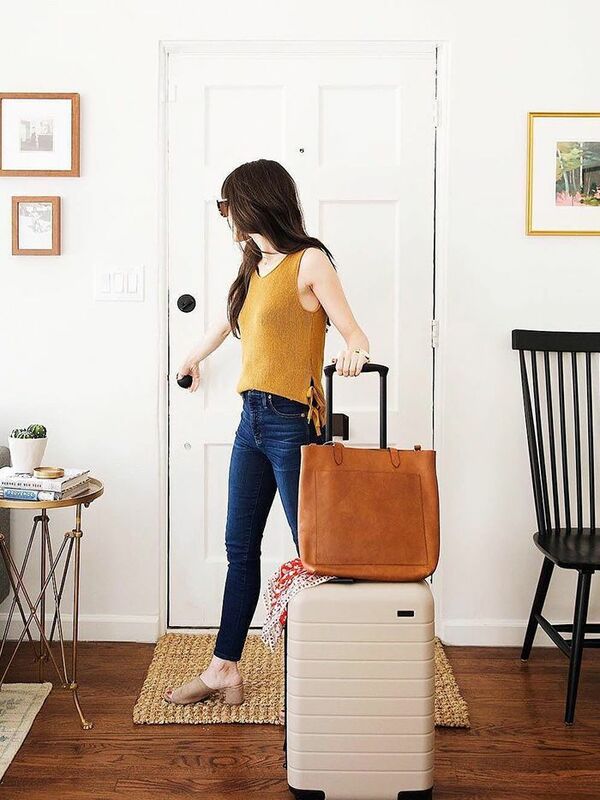 For shorter trips, a large weekender bag should fit everything you need. Traveling with a chic tote makes navigating the airport easy. Leggings are an ultra-comfy pick for the airport, but they're also ideal if you plan to sneak in a workout. A fitted black shirt goes with everything. While you may not check a bag, it's still smart to make sure you're setting your luggage apart with a handy tag. Skinny jeans go with whatever top you may want to wear. Loafers or mules are perfect when you may need to do a lot of walking but still need to dress up. For swings in weather, opt for at least one long-sleeve piece, but avoid overly bulky sweaters. A simple black skirt is perfect for nights on the town. Try a lacy top for the office or drinks afterward. Ankle boots fit easily in even the smallest suitcase. A day-to-night dress is a smart staple. Want more? Here are major packing mistakes according to an expert!